Need to get yourself or someone else an Easter treat? But you don’t fancy chocolate. Get some Veil Cover Cream to make your skin shine brighter than the foil on an Easter egg. Veil Cover Cream was created in 1952 and has been helping people look and feel better ever since. Perfect for those with sensitive skin or who are wanting to cover birthmarks, scars, age spots, moles, broken capillaries, varicose veins, stretch marks, acne scars, rosacea, vitiligo and eczema. 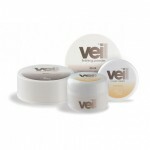 Veil Cover Cream can be used as an everyday concealer or foundation. Veil Cover Cream lasts all day. With over 40 shades in the range, Veil Cover Cream is suitable for any skin tone and best of all you’ll love the results! Order now to make sure your delivery arrives before the Easter Bunny does! Here are some of our top picks to help you find the perfect Easter treat. The sample pack is great for first time users as this kit contains 10 colours in the blister pack. Giving you the option to mix your perfect colour match. Try as many colour combinations as possible and try using the product as a concealer, cover up or full coverage foundation. Our best selling Veil Cover Cream and Veil Finishing Powder combo pack is two products to give you instant results. Using the finishing powder as a sealant to the cover cream gives waterproof and smudge proof long lasting results. Our classic original product available in 42 shades. Use it as a concealer or full coverage foundation and feel confident in your skin. Smudge proof, waterproof and long lasting Veil Cover Cream gives high coverage and is able to cover scars, birthmarks or rosacea. Be sure to also use the Veil Finishing Powder to fix the product. Find your perfect colour match with our 20 colour demo kit. Mix the colours to find the perfect match for your skin tone and discover the how the different colours cover various skin conditions. Find out more about Color Correcting Concealers. Find out more about our products and the story of Veil Cover Cream HERE!